For making energy efficient windows, fiberglass composites offer many advantages over wood, aluminum and vinyl. Wood warps and rots over time, allowing air infiltration that undermines the insulating power of the glass. Aluminum conducts heat and cold into the interior of buildings. And vinyl can weaken with age leading to a breakdown in insulating power. Fiberglass is 8 times stronger than vinyl. It doesn’t shrink or expand like aluminum and it doesn’t warp like wood. It is also friendly to the environment because it is 80% sand, an abundant natural resource. In fact, according to Fiberglass Windows, the total energy required to produce a product from start to finish is called “embodied energy” and fiberglass windows have about 80% less embodied energy than aluminum and 39% less than vinyl. Because fiberglass is so rigid and stable, it is ideal for windows that contain multiple layers of glass. Originally, insulated windows featured two panes of glass with a 1/4″ air space between them. Today, a 1/2″ air gap is common. Adding more space between the panes promotes condensation without increasing insulating power. Energy efficient windows composed of three or even 4 panes of glass with a 1/4″ air space between them has up to three times more insulating power than a standard dual pane sash. But wood, aluminum and vinyl are not suitable for making multi-pane windows because they lack the stability and rigidity of fiberglass. Fiberglass windows cost no more than those made from wood, aluminum or vinyl, yet they keep their insulating properties longer and use less energy to manufacture. 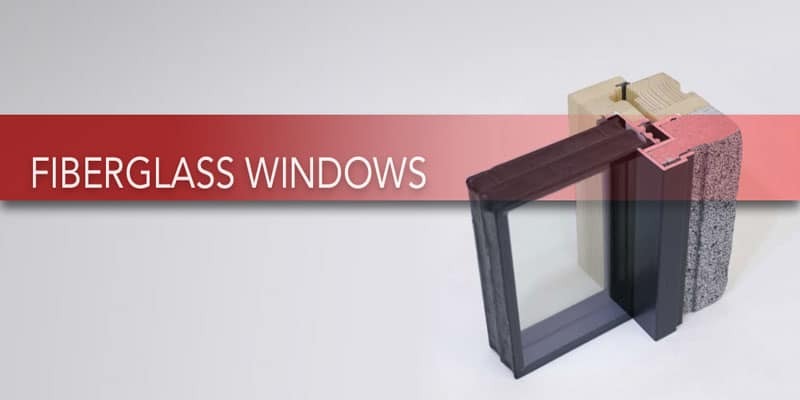 If you are considering new windows for your residential or commercial building, fiberglass windows may offer greater environmental advantages at a competitive cost.